Andy and Kathy partner with national church planters to multiply and develop healthy churches in rural Uganda. Andy and Kathy have been ministering together for 40 years in Christian Camping, Rural Church ministries and the Pastorate. They are both graduates of Biola University and Andy has a graduate degree from California State University, Fullerton and Kathy from the University of California, San Francisco. 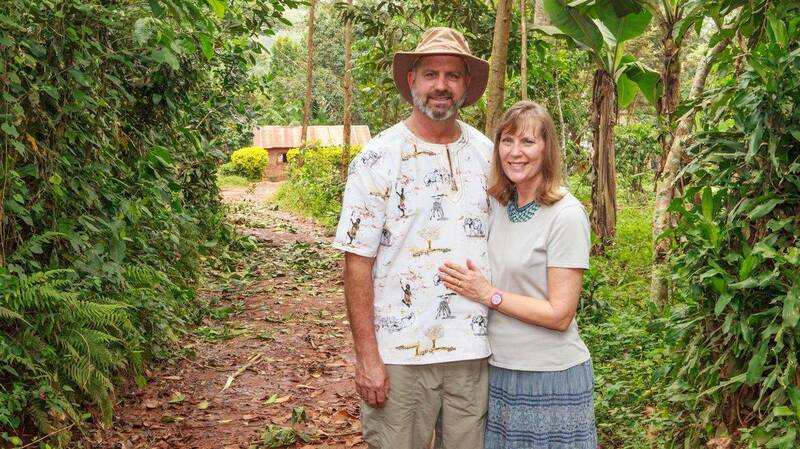 They spent 15 years with American Missionary Fellowship, now called In Faith, serving at Mt. Gilead Bible Conference, and supporting church plants in Rural Northern California. They joined the staff at Hessel Church in Sebastopol, California in 1998 where Andy served as Associate Pastor and Missions Pastor. Kathy served as a Bible Study leader and teacher, then in 2007 joined the church staff as Director of Women's Ministry. They began a partnership with Frontier Force Christian Ministries in Uganda in 2004 and in 2015 moved from Church ministry to focus full-time on this growing ministry. FFCM has planted 13 churches, 4 farms, 2 schools, and are currently developing a dental/medical clinic. They will be working closely with their African leadership team to begin Frontier Force Bible Institute, a new initiative designed to Envision, Equip, Empower and Unleash pastors and new church planters in the rural villages of Uganda. They have been married for 41 years and have 2 grown children. Drew (Jen) is a church planter with EFCA in El Dorado Hills, CA. Drew and Jen have 3 children. Daughter Elayne (Tim) live in Minnesota where Tim works at Bethel University and Elayne is a music teacher. Tim and Elayne have 1 child.